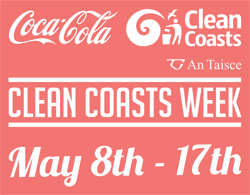 In association with Clean Coasts 2015, Sligo Surf Lifesaving Club are delighted to be joining Sligo Tidy Towns in supporting the Rosses Point beach clean up on Sunday May 17th at 2:30pm. As you know Rosses Point beach is where we train for the Open Water Surf Lifesaving (which will be starting next month) and therefore this beach is important to every single one of us. We would ask any members as possible from the club to please come on Sunday afternoon and support this very important event. Rubbish bags will be provided on the day to Sligo Surf Lifesaving members but we would ask that you please bring your own gloves and high visibility vests if possible as we don’t have enough for everyone. We ask that all minors please be accompanied by a parent/guardian and can all club members please wear club gear if possible (taking the weather into account – e.g. wellies, sunscreen etc). See you all on Sunday at 2:30pm.